Welcome to the Henna Art Gallery! 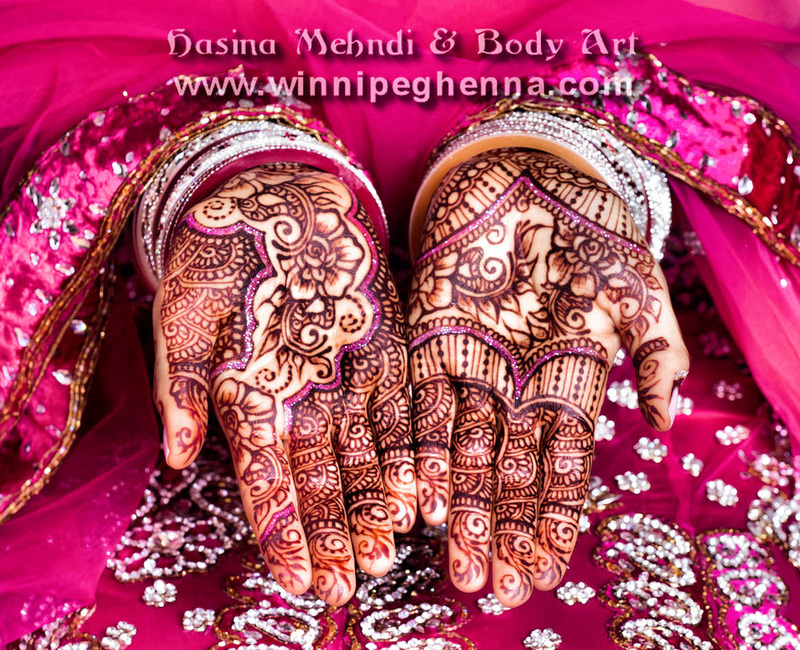 Please use the dropdown menu to view the best henna Winnipeg has to offer! Choose from bridal mehndi, Indian wedding henna, festival fun henna tattoos and safe, professional pre-natal belly art. All art is done by Manitoba's only ICNHA certified artist on clients in Canada, USA and UK. Almost all designs are Kim Brennan originals! You can also use the button below to join us on Facebook and check out the photo albums there! Many of the patterns you've seen in the galleries are from my own pattern books carried by Henna Caravan! For festival artists or people who just love the art, these may be for you!